2 of my favorite things to paint in one picture! 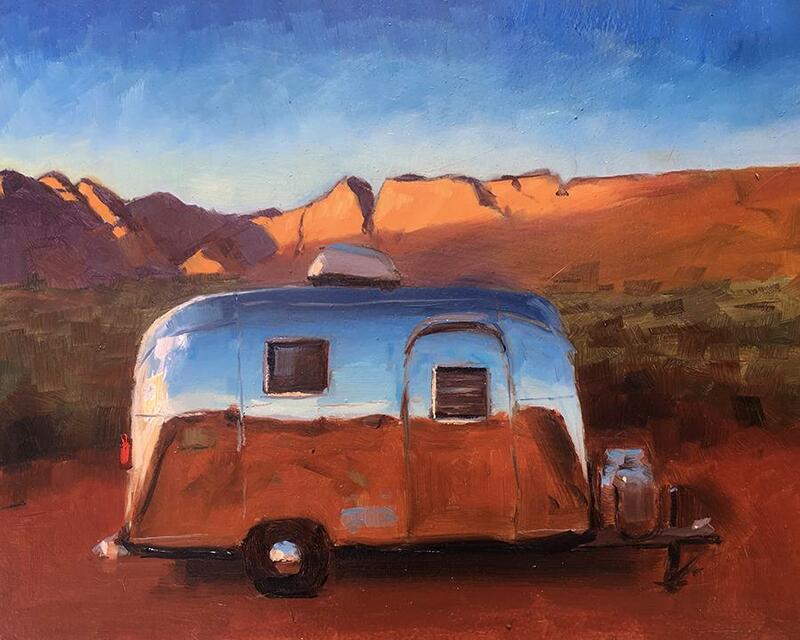 Golden evening light on red cliffs and a shiny vintage Airstream. It doesn't get much better than this!